Those who begin to research hypnosis for eating disorders have usually exhausted every other avenue before reaching this point. You may be interested in being hypnotized because it’s non-invasive and has very few side effects. Many of my clients have tried counselling or other forms of talk therapy to overcome their problem, with little or no success. They feel frustrated because they are tired of talking about the problem; they just want to do something about it! Sometimes talking about it isn’t enough; there maybe subconscious causes for your behaviour that you cannot access consciously; therefore even though you want to stop bingeing, purging or starving yourself, you actually feel powerless; as though you are a slave to your disease. 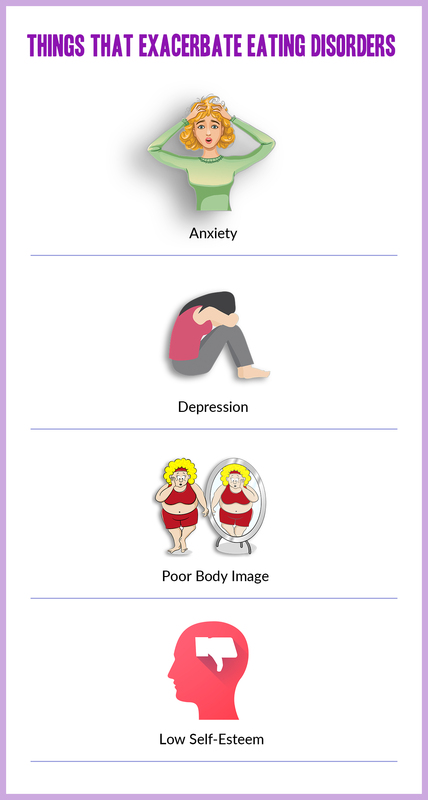 There are all kinds of causes and conditions that contribute to problems such as anorexia, bulimia and binge-eating disorders. A good hypnotherapist will pay particular attention to the underlying causes of the illness, rather than just focusing on the illness itself. She will guide the client into a relaxed state of awareness and offer suggestions that will help reduce the impact of all aspects of your disease, not just the surface stuff. You cannot be made to do anything against your will when you are under hypnosis. Your hypnotherapist will work with you to eliminate the unwanted beliefs and behaviour patterns that are contributing to the problem and inspire you to seek and maintain lasting positive change. Can Hypnotherapy Cure Your Eating Disorder? To date there is no scientific research to prove that any single modality can claim to cure eating disorders. For this reason, hypnosis should not be used in place of your regular treatment and you should still work very closely with your doctor or health care professional. On the other hand, there are plenty of research articles on hypnosis that prove it is actually very effective overall. Working with a hypnotherapist is a great way to enhance the treatment you are already receiving and to work with your subconscious mind to remove the beliefs that are perpetuating your behaviour. However, relying on hypnotherapy alone to treat your condition may be dangerous because eating disorders are very serious, and in some cases, deadly. While I have had some great success stories with my clients who had eating disorders, it is unethical for any hypnotherapist to claim that she can cure your illness in a given number of sessions. You may be so desperate for a quick and easy solution to your illness that you fall prey to charlatans who will take advantage of your vulnerable position. But remember; if it sounds too good to be true it probably is. Before you decide to work with a hypnotherapist, use your own discernment; research your hypnotherapist and make sure you choose someone you feel comfortable with. Hypnosis for eating disorders can indeed be a very successful treatment modality, provided you use common sense and continue to work alongside your current medical practitioner.